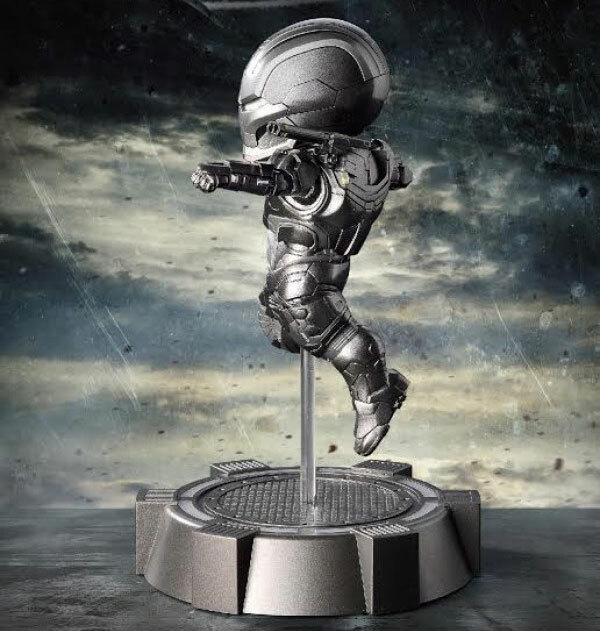 In The Avengers 2: Age of Ultron, Lieutenant James Rhodes, in his powered combat armor, provided air support to the Avengers and helped evacuate civilians in Sokovia. 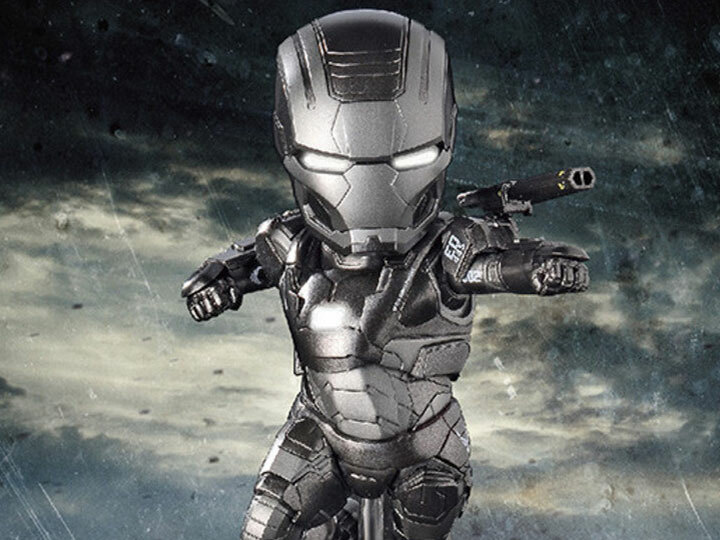 The War Machine armor is equipped with heavy firearms, helping the Avengers in the fight to stop Ultron. 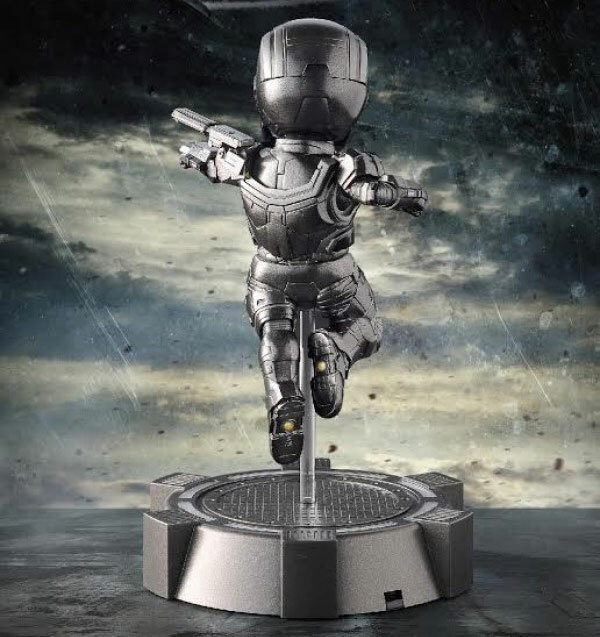 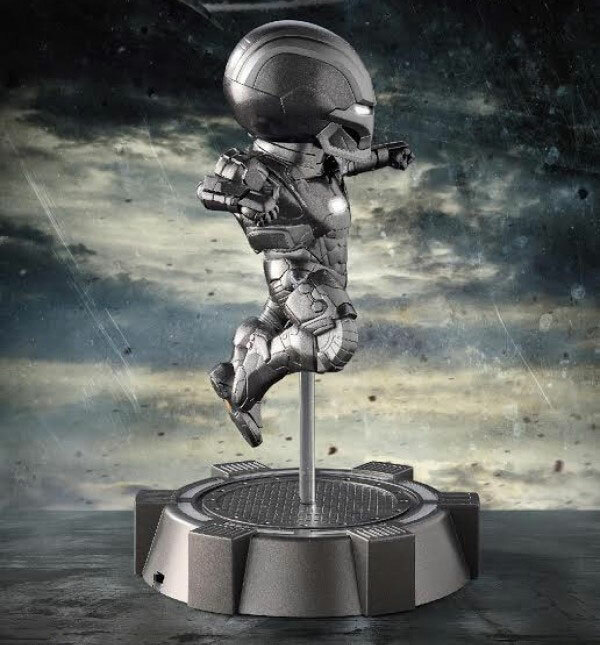 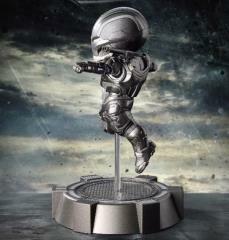 Beast Kingdom Toys is proud to announce the Egg Attach EA-011 The Avengers 2: Age of Ultron War Machine! This figure stays true to the look of the movie using a special paint blend that recreates War Machine’s unique metallic black finish. 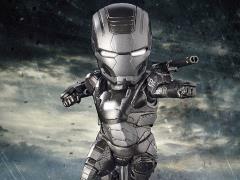 Details for the face, abdomen, back armor, and shoulder cannon are recreated perfectly. 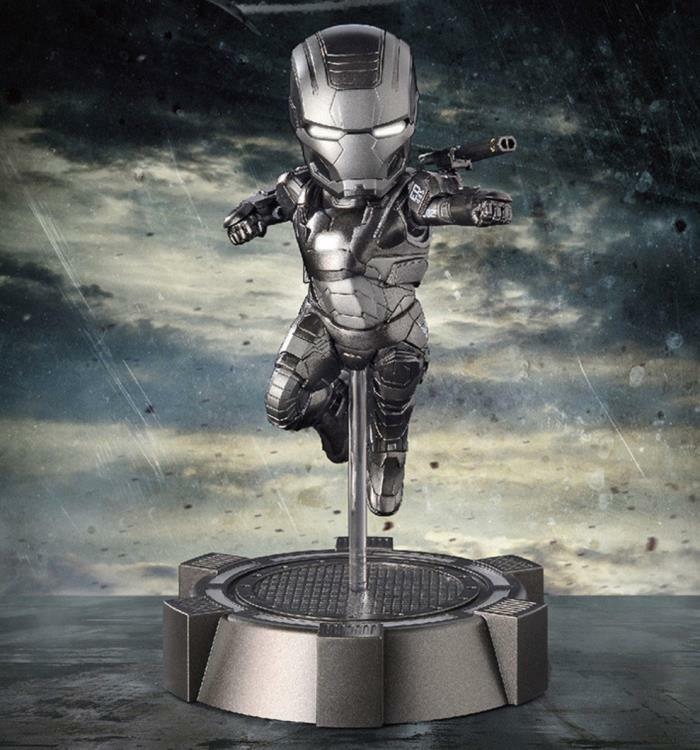 With LED lighting embedded in the eyes, chest arc reactor, foot repulsors and base, it will look just like it did in the movie!